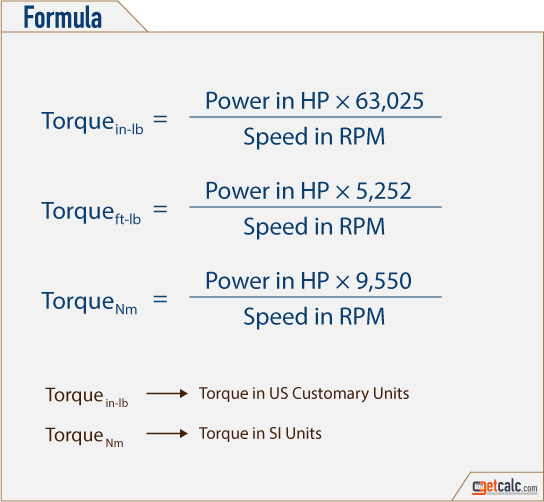 getcalc.com's Torque - Horsepower (hp) Converter is an online electrical engineering tool to perform conversion between electrical rotational moment of force (in-lb, ft-lb or Nm) & horsepower (watts). 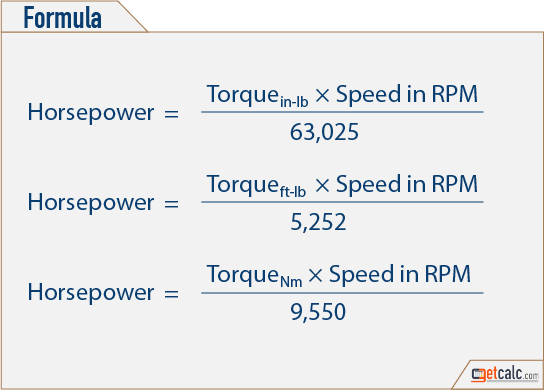 Torque - Horsepower (hp) conversion is a method of converting one unit from other and vice versa. Torque is a rotational force generated by the electrical system, whereas, the horsepower is an imperial unit of power equal to 745.7 watts.